Art by Joshua Keyes – Characters and scene inspired by Castlevania, owned by Konami. 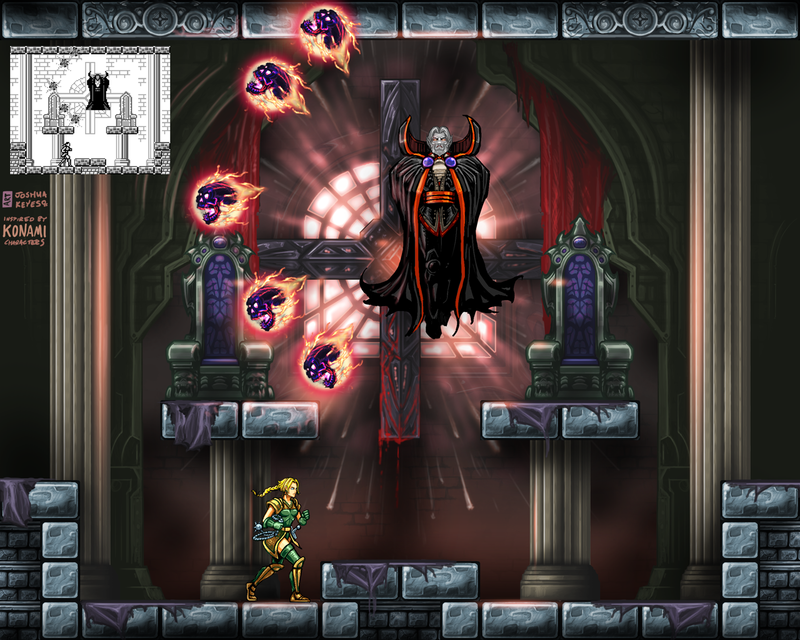 This entry was posted in Design, Game Design, Game Graphics, Indie Game Art, Indie Game Blog, Indie game Concept Art, Tiled and tagged Castlevania, Dracula, Game Art, Gameboy, Joshua Keyes, Konami, Newres, Platforming, Sonia. Bookmark the permalink.